Johnson’s (Elsewhere, California, 2012) superb short story collection features well-drawn characters, vivid descriptions of Los Angeles, and nuanced reflections on money, race, and family. The stories stand alone, but they share preoccupations, and sometimes settings. In the title story, Dean Wilkerson tries to make his mother see the beauty of his historic downtown apartment building, the Pacific Electric Lofts. She wishes he lived somewhere more private and farther from Skid Row. In “Because That’s Just Easier,” a mother’s doubts about moving downtown resurface when her six-year-old daughter is upset by encounters with homeless people and, heartbreakingly, by her inability to help them. In “Buildings Talk,” a tenant at the Pacific Electric facing rent hikes and gentrification asks, “Where are people supposed to go? Where do they go? Does it really come down, always, to the cold, cold, hard, hard, cash? I know. Where have I been?” Johnson never loses sight of what it can mean to be from somewhere, especially for African-Americans. In the excellent “The Liberace Museum,” Charlotte and the man she loves take a detour on their way to Los Angeles so she can meet his parents in Jackson, Miss. Many characters study their surroundings for clues about the past, and history comes to the forefront in Johnson’s tour de force closer, “The Story of Biddy Mason.” This is essential reading for Angelenos, Californians, and anyone interested in masterly, morally engaged storytelling. An insightful collection of stories that paint diverse portraits of present-day Los Angeles. Johnson (Elsewhere, California, 2012) exposes the deep ruptures between her characters’ relationships to one another, their surroundings, and their pasts. In “Rogues,” J.J., a broke college student, clashes with his older brother, Kenny. Kenny laughs off J.J.’s more idealistic worldview. “Sorry College,” he says after J.J. critiques his use of the n-word as a man of color. Later, Kenny states more bluntly, “Well Obama don’t live in this neighborhood, do he?” This question resonates as the story examines the consequences of race and racism on their lives. In the title story, Dean is haunted by the city’s past and the knowledge that he, too, will belong to the past one day. As he sits with his mother on the roof deck of his building in downtown Los Angeles, he imagines the city before he lived in it. Downtown has gotten nice, his mother notes. It’s all cleaned up. “And by all cleaned up,” Dean thinks, “she means, of people.” In “The Story of Biddy Mason,” Johnson’s timeline is widest and creates the most powerful view of the palimpsest of this American city. We see Los Angeles as it was shaped by two people in history: a white man from “good stock” who was a railroad magnate and art collector and a former slave who walked from Mississippi to California, where she became a philanthropist and founded a church. We end with an arresting second-person perspective that shows us the Los Angeles we might see today and what, if anything, we’d experience of those who came before us. The city doesn’t figure prominently in every story in the collection, but the themes of race, perspective, and history carry through. Eleven poignant stories that look to the past to portray the present. — Karen E. Bender, author of Refund, a finalist for the National Book Award. 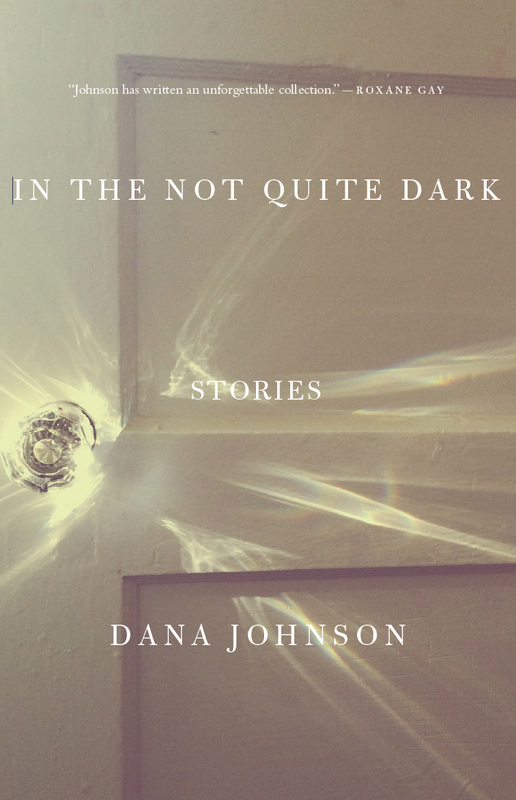 “What a gift to have a new collection of hard-to-shake stories from the inimitable Dana Johnson. She writes about the contradictions of our contemporary moment with an honesty that is gimlet-eyed, rueful, and often wickedly funny. But along with implacable honesty there are also deep reserves of generosity in these stories, each one taking our hearts to places we don’t see coming and can’t readily forget. From The Paris Review: "She Deserves Everything She Gets"